DAYTONA BEACH COMIC CON 2019 !!! This Dceased Horror Variant Is A Must-Own! Hottest Movies of Summer 2019! Pam Harrison is one of the first and best known CGI artists in Independent Comics. Her work with the historical fiction series House of the Muses earned her the 2008 Prism Comics Queer Press Grant for Outstanding Series, and she continues her storytelling in a gripping sci-fi space opera adventure, A Deviant Mind, that far transcends its original LGBT audience. Her work has also appeared in ALPHABET Anthology, Dark Mischief horror anthology, Voices Against Bullying and more. 2008 Prism Comics Press Grant Award winner Pam Harrison has been credited by Comic Book Resources’ Brian Cronin and veteran comic legend Sergio Aragonés as “THE best CGI comic artist EVER”. I’ve been writing for literally 40 years now. My creative influences came to birth in 1977, the year that Star Wars burst onto the scene, firing into existence my love and passion for Space Opera and the dream of creating a saga of my very own. There was plenty more going on in 1977 but Star Wars overshadowed most everything. I would go on to create a number of stories over the years from the award-winning House of the Muses, which is shortly about to re-debut in a larger graphic novel format, to my current science fiction space opera series, A Deviant Mind, which was created back in 1980 but waited 30 years for its independent comics debut. So if you’re worried that it’s too late to jump into the game, you’re wrong. It’s never too late. Grab a pen or a tablet or jump on your computer and start writing. When you’re creating a story, the first challenge is collecting that one big idea in your head and laying it down in a format people can follow. When you’re working with other artists, they have to be able to take your pages and your direction and lay the art in a clear linear fashion that not only tells your story to the readers, but excites, inspires, and leaves them wanting more. Not every writer creates their stories the same. Some of us doodle in notebooks or notepads. I lay out my stories in blocks on Dramatica Pro 4.0, but I’ve been using that program for years. I freewheel quite a bit. Other writers like clear outlines and templates to lay out their story from start to finish. In comics and movies, stories are first laid out in storyboard format. This gives all the creators involved a clear idea of the story ahead, what it’s expected to look like, outline visual cues for the artists, and lay the groundwork for the epic. The idea in your head is the prologue for the story you want to tell. Always have a clear idea of your intro, your start, your story and your finish. If you need to visualize your script in storyboard to get a good grasp of how to tighten that up, I have some suggestions. I’m going to enclose some templates to give you a solid roadmap on how to write a tight script. Explore all of these and use the final script template for your finished product, and let me know how it goes. Go forth and be awesome. This document is best used by printing multiple copies for roughing out visual concepts. The most time-honored way to increase your expertise in writing is to pick your favorite writer, study what they do, how they do it, and write, write, write. You are only going to get better with practice. Don’t forget to grab all the info you can from this article by veteran comic writer Fred Van Lente. Have more questions? Use the Comments section on this page and we’ll turn this resource into a seminar panel. Fred Van Lente is the #1 New York Times bestselling, award-winning writer of comics like Archer & Armstrong (Harvey Award nominee, Best Series), Action Philosophers! (American Library Association Best Graphic Novel for Teens), and Cowboys & Aliens (with Andrew Foley), the basis for the feature film. His many other titles include Weird Detective, The Comic Book History of Comics, The Incredible Hercules (with Greg Pak), Taskmaster, Marvel Zombies and The Amazing Spider-Man. He lives in Brooklyn with his wife, the playwright Crystal Skillman, and some mostly ungrateful cats. I’ve been very flattered over the years to be complimented on the way I format my comics scripts. I started developing this style when I was a teenager and discovered an unpublished Howard the Duck script that one of my heroes, Steve Gerber, had uploaded to CompuServe — this very script in fact, that a reader tracked down for me. I modified Gerber’s format considerably, particularly under the guidance of Lee Nordling, my supportive editor at Platinum Studios, when we did Cowboys & Aliens together. There have been a few tweaks since then, helped, if I remember correctly, by Nate Cosby while he was an editor at Marvel. I was inspired to add this page to my site by lettering maestro Nate Piekos, who wrote a great article for his personal site talking about why he likes my format and the logic behind its layout. So — keeping in mind there is no “right” or “standard” way to format a comics script — here’s templates on how I do it. This is what I think is the easiest-to-read and the most efficient format for the pencillers, inkers, colorists, letterers and editors to get the information they need to complete an issue. Remember, save them to the “My Templates” folder in your Office Library or they won’t show up in Microsoft Word’s Project Gallery. For more information on writing comics — not to mention drawing, inking, coloring, lettering, editing, pitching, publishing, and marketing them — pick up Make Comics Like the Pros by Greg Pak and I.
Don’t email or tweet me for technical help. I’m not qualified to come to your aid. Fair warning! Some completed scripts so you can see the format in action. MARVEL ZOMBIES HALLOWEEN One-Shot Script / Copyright 2012 Marvel Comics / Read the completed comic here. BRAIN BOY #1 Script / Copyright 2013 Dark Horse Comics / Read the completed comic here. ARCHER & ARMSTRONG #1 Script / Copyright 2012 Valiant Comics / Read the completed comic here. ACTION PHILOSOPHERS: “Immanuel Kant” Script / Copyright 2006 Ryan Dunlavey & Fred Van Lente / Read the completed comic here. ICCON 3 is almost upon us! © Watch Dog Entertainment ® Is A High Patron of ICC! Support Them! Read more books by Chelsea Clinton at Amazon.com! Little Golden Books! New Heroes! 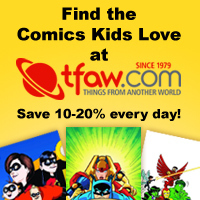 Find A Comic Shop Near You!! Comic Shops! Get the Latest Issues of ICC Magazine with BUY DIRECT! May The Fourth Be With You on Free Comic Book Day: Saturday, May 4, 2019!! Space Coast Comic Con Updates! Copyright © 2019 ICC Independent Creators Connection and Sword and Labrys Productions. © All rights reserved.